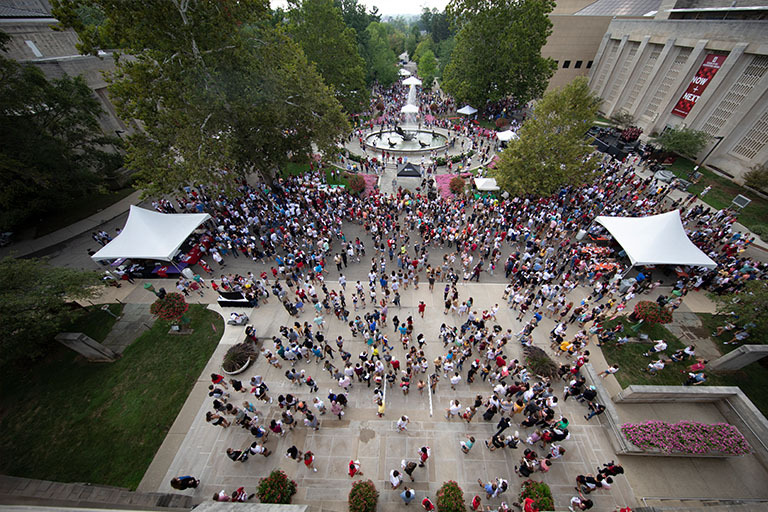 As Indiana University celebrates this year’s Homecoming, three programs and centers supported by the Office of the Vice President for Diversity, Equity, and Multicultural Affairs are marking anniversaries of their own. With celebrations that will gather students, faculty, staff, and alumni from IU and beyond, the Asian Cultural Center, the Groups Scholars Program, and the Latino Cultural Center (La Casa) will each mark decades of service to the IU community. In doing so, Indiana University will celebrate the notable impact each program has had on making the Bloomington campus a more diverse and welcoming place for all. For 45 years, the Latino Cultural Center, commonly referred to as La Casa, has worked to provide what its name implies: a home for the Latino community. In addition to providing support to Latino students, La Casa also offers programming to bring study and celebration of Latino culture and history to the IU Bloomington campus. La Casa will celebrate 45 years of this work over the weekend of Oct. 5-6, with celebrations including a welcome luncheon, a Luis Davila Latinx Thematic Community & Alumni Meet and Greet, and a storytelling event where La Casa students and alumni can share their experiences. Full details of the events taking place during the anniversary weekend are listed on this website. Other events include the Asian Alumni Association meet and greet breakfast and the ACC welcome back dinner. Attendees of the weekend are also invited to celebrate the Homecoming parade and football game with the ACC community. To find full information about the ACC and RSVP for the celebration, visit the Asian Culture Center’s website. Celebrating 50 years of making an IU education possible for underserved communities, the Groups Scholars Program will also be marking its anniversary over Homecoming weekend. Since its founding in 1968, the Groups Scholars Program has welcomed over 13,000 students from historically underserved communities to campus, where the program’s financial and academic support helps make a college degree an attainable goal. From Oct. 12-14, Groups Scholars, alumni, and friends will recognize this legacy with a weekend-long celebration. Highlights of the weekend include a Groups tailgate for the Homecoming football game, a 50 Years of Generating Minds brunch, and a career round table and storytelling event. Attendees should visit the Groups Scholars Program website to pre-register for the weekend’s events; pre-registration closes Oct. 7.